Mission: Supporting, honoring, and remembering our firefighters, law enforcement, military, and veterans. 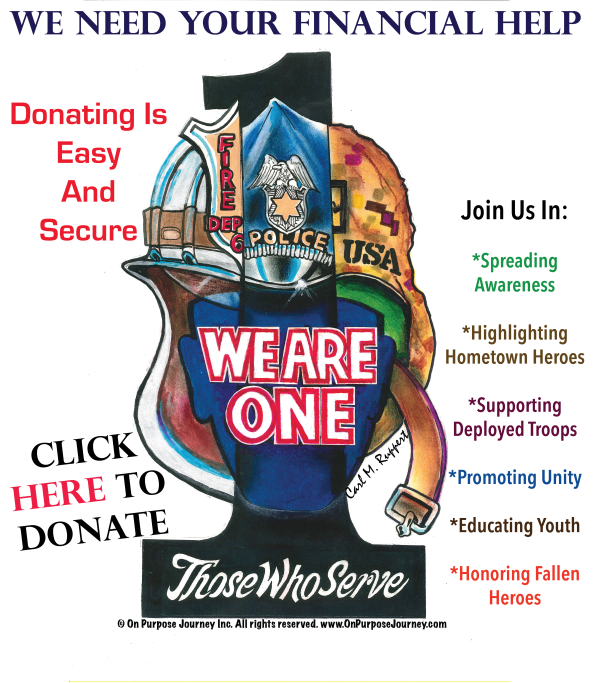 Partnering with those who serve for awareness, education, integration, and unity. Jim Kabellis: Volunteer Director on the Board of Directors; President/CEO of Financial Corporation; Director for Boys to Men Mentoring Network, Inc. Subscribe here to receive information about our CommUNITY events and stories!